I am an athlete. I’m also a vegetarian. And this means that I often search for foods that are nutrient dense and provide a good hit of protein, healthy fats, and energy. One of my favorite go-to foods has always been peanut butter. I have absolutely no willpower when it comes to peanut butter. And, thankfully, I do not have a food allergy to nuts. Whew. 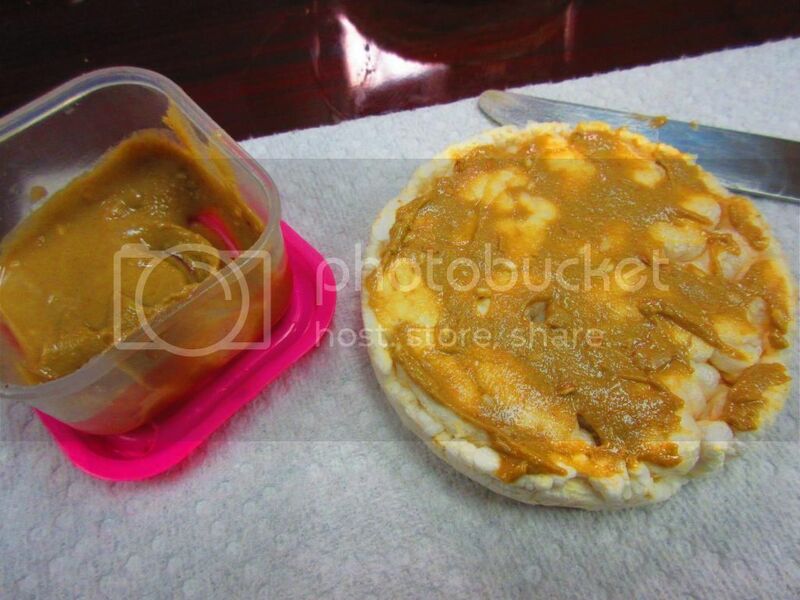 I grew up eating peanut butter and jelly sandwiches or fluffernutters. I put peanut butter on celery sticks with raisins. I eat peanut butter pancakes. I love, love, love peanut butter. In fact, I have my own jar which, when I am feeling down, I often raid with a spoon and try to not eat the whole thing in one sitting. It’s happened. It is my favorite comfort food. In texture, taste (sweet and salty)…I have never met a peanut butter that I don’t like. And, a couple years ago, I went to the good stuff. Yes…peanut butter that is made strictly from nuts. No added sugars, oils, or anything. Yes, this does mean I have to stir the jar when I open it…but then I just flip it upside down and store it in the refrigerator. It’s a great arm workout to say the least and worth it when I churn out gorgeous, creamy peanut butter at the end of it. And, it stays creamy in the fridge without getting too solid to spread. If I am going to have a go-to comfort food like peanut butter, by God, it’s going to have as few ingredients in it as humanly possible. It just so happened that when Cuisine Cube sent out their September Cube (aka: Back To School), there was a jar of SuperButter Original Crunchy Seed Butter included. I was elated. No…really. This is how much I love nut butters. And, while technically, this is not a nut butter…it’s the same concept. And I was just all awash with happiness because…when it comes to favorite things…nut/seed butters rank right up there in my life. When a little jar of delicious nut/seed butter arrives at my doorstep…you best believe a happy dance ensued. For those of you new to my blog…let me briefly tell you about the amazing service that Cuisine Cube offers. Cuisine Cube is a service that was developed by foodies, bringing small and local artisan gluten free products to your house. The items we can find in the grocery store are all fine and good, but often so processed and laden with food additives and subpar ingredients. This small group of food enthusiasts set out to find better products for those of us in the gluten-free world. Based out of New York City, a food haven for sure, the ‘little guy’ products can be hard to find and might even require a trip to a specialty store. But not anymore, because these awesome and amazing brands are now being sent to you on a monthly basis, with plans starting as low as $29.99. That’s a great deal, considering you get at least 5 products (a breakfast, lunch, dinner, snack, and dessert) in each cube, and occasionally, you get an extra product thrown in. Seriously…if it wasn’t worth it, I wouldn’t still be doing it. I have experienced so much more from the gluten-free world due to Cuisine Cube…discovering and being introduced to brands and businesses I never would have known about otherwise. …I knew I loved nut and seed butters…but SuperButter just took it to a whole new level. FANTASTIC!! SUPERB!! I fell in love at first taste, which might have been straight out of the jar. And it might have been followed by a few more tastings before I had to give into my willpower and put it away. This is the best seed butter I have ever tasted. And as someone with a nephew who has a nut allergy, I have tried many of the seed butter options out there. They have all been decent enough, but never this fantastic. SuperButter is packed with the best flavor and texture. I credit this to the roasted seeds that go into the making of this butter, and the creaminess that emerges. Silky and smooth. Even with the added sesame and flax seeds for the crunch factor in this variety, it was just smooth. No grittiness. Just…SuperYum! I may sneak tastes out of the jar when I duck into the kitchen. That might not be a maybe…I actually do that. SO amazing and delicious. It has been awhile since a simple product has knocked me for a loop like this, but WOW. I have heard that GNC sells this in their stores. I’m going to have to stop in and find out. Let’s talk about ingredients, shall we? The SuperButter Original Crunchy Seed Butter is made from roasted sunflower, sesame and flax Seeds, cane sugar, palm oil, and sea salt. SuperButter is high in protein, fiber and antioxidants (omega 3’s and vitamin E). They are gluten-free, trans-fat free, and cholesterol free. And, they contain less fat than regular peanut or nut butters. How do you love that? I love that…just from the aspect that I overindulge in nut butters ALL the time. If I can do it without packing on the fat that comes with it…even better. Made from real, whole ingredients – no artificial anything is permitted. Roasted sunflower, flax and sesame seeds comprise the flavorful base, with a little cane sugar, palm oil and sea salt added for maximum deliciousness! 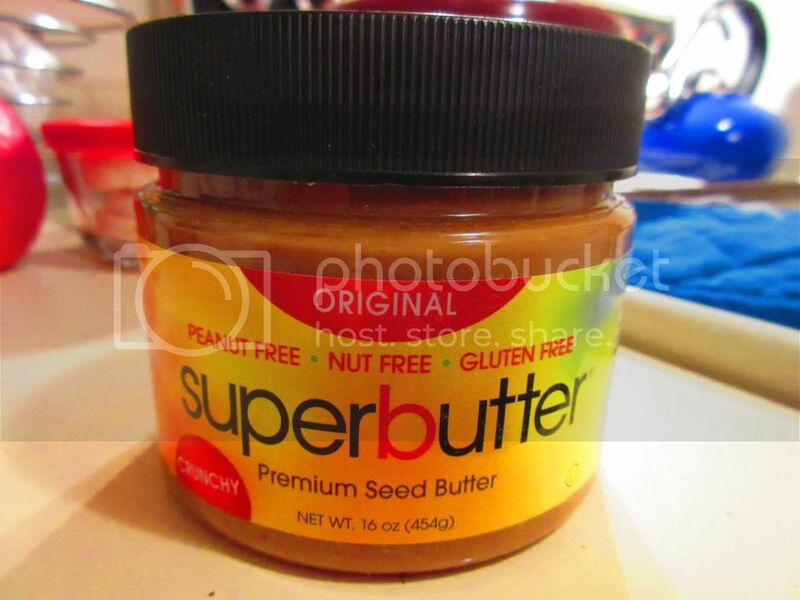 As for nutrition, a serving of SuperButter Original Crunchy Seed Butter is 2 tablespoons. In this serving, you will be devouring a delicious 200 calories and 16 grams of fat. Don’t worry…this is actually the good kind of fat. Everything in moderation…right? YES! One serving will also provide 65 mg sodium and 3 grams of sugar. In addition, you’ll be filled up with goodness with the hearty 3 grams of fiber and 8 grams of protein that are provided. And I absolutely love the sesame and flax seeds that are mixed in to bring that crunch factor in. SO good. I don’t think I ever would have known that something like SuperButter Original Crunchy Seed Butter existed if not for Cuisine Cube. Yet another reason that this is such a worthwhile and amazing subscription service. I am on the hunt for more SuperButter now locally…and if I can’t find it, I am totally hitting up their Web site to order it myself. Because, honestly, no lie…the jar is already almost empty. So much for self-control and willpower! This entry was posted in Clean Eating, Cuisine Cube, Dips, Food, Gluten-Free, Paleo, Products, Review, Snacks, Spreads, Sweet Stuff, Vegan, Vegetarian by The Celiathlete. Bookmark the permalink.